Konami Digital Entertainment Inc. has announced that Pro Evolution Soccer 2016 will be released September 15 in the U.S., with a European street date set for September 17. The release of PES 2016 marks the 20th anniversary of the popular soccer series. With the employment of the acclaimed Fox Engine to capture the game’s realistic action and a redevelopment of the franchise’s Master League, Konami is confident about its upcoming title. Fans of the franchise as well as initiates can look forward to such improved features as an advanced collision system, full control over goal celebrations, new ball physics and a dynamic wide camera angle. Commentators Peter Drury and Marco Hagemann have also been added to the title. PES 2016 screenshots will be released at E3 starting next week. 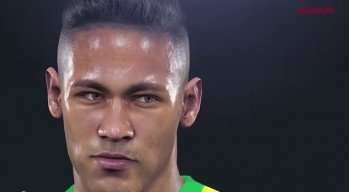 The game, which features Neymar Jr. as its cover athlete, will be released on the PlayStation 4, PlayStation 3, Xbox One, Xbox 360, and PC.